Beijing(PTI): Rani Mukerji-starrer “Hichki” received standing ovation at Shanghai International Film Festival (SIFF). The film, which starred the actor playing a woman struggling with Tourette’s syndrome, was screened on the day one of the festival on June 16. Director of the film, Siddharth Malhotra was present at the showcase of the movie. He also shared a collage of photographs from the event. 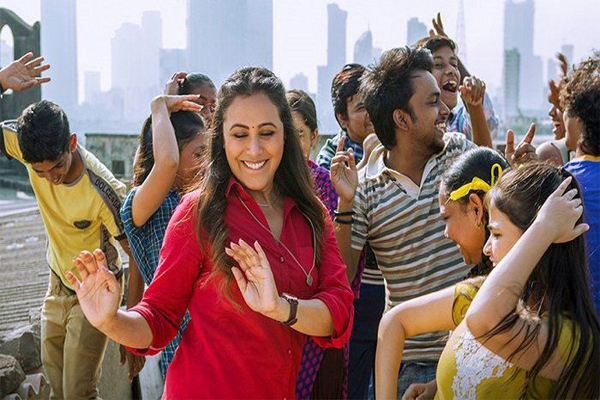 “Hichki” was screened as part of The Belt and Road Week in China at the festival. Siddharth Malhotra was present at the showcase of the movie.